At Detroit Sinus Center, we pride ourselves on providing the highest of quality in sinusitis care for all those in the Detroit, Dearborn, Allen Park, and Southfield, MI areas. While sinusitis is a very common condition that affects at least 35 million Americans per year, our sinus doctor and team wants to do all we can to alleviate your symptoms through our sinusitis care, and also by giving you the knowledge to properly treat and take care of it. 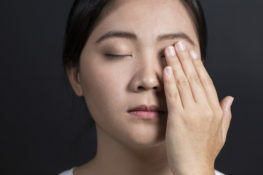 If you have multiple of these symptoms, it’s likely that you have sinusitis. There are two different types of sinusitis – acute and chronic. If you have acute sinusitis, you will likely have these symptoms for a few weeks. However, with chronic sinusitis, you may find yourself suffering from these symptoms for months – or even years! For more serious sinus infections, we may prescribe you with antibiotics that you’ll have to take for about ten days. For simpler sinus infections, over-the-counter decongestants and saline nasal washes will work just fine. Other ways you can alleviate some of the symptoms of sinusitis are by using warm compresses and steam or other warm, moist air. Contact our sinus doctor today! Contact Your Detroit Sinus Doctors Today! Please feel free to contact us if you have any questions or comments. Detroit Sinus Center is glad to help you with any of your concerns. If you’d like to schedule an appointment with us, we encourage you to give us a call at one of our two convenient locations. Our Allen Park office phone number is (313) 449-8871 and our Southfield office phone number is (248) 327-3344. We look forward to hearing from you!